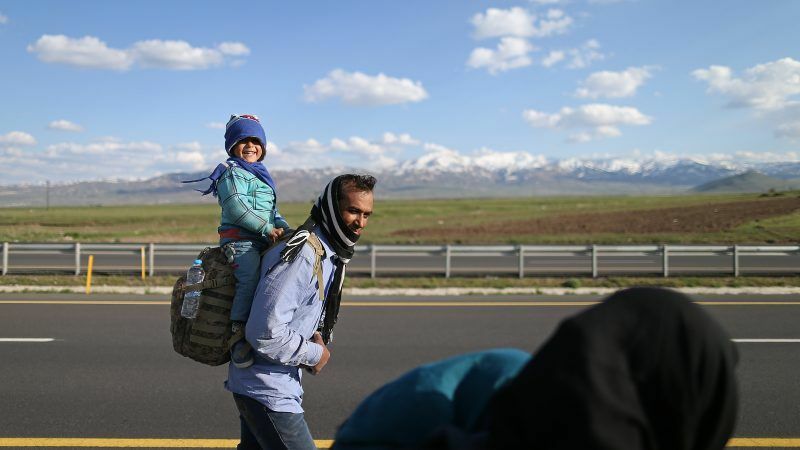 Nearly 30,000 Afghans have arrived in Turkey in the last three months, the Turkish government said Wednesday (25 April), after Amnesty International criticised the authorities “ruthless” decision to send more than 7,000 back to Afghanistan. Interior Minister Suleyman Soylu said 29,899 Afghans had crossed into Turkey since January compared to 45,259 people in the whole of 2017, state news agency Anadolu reported. “In recent months, we are facing a new refugee wave, especially from Afghanistan,” Soylu said, adding that 1,328 people smugglers had been caught by April. Turkish authorities have sent back 7,100 migrants to Afghanistan since early April, rights group Amnesty said on Tuesday, as it denounced the “ruthless deportation drive”. “Thousands more are in detention, being treated more like criminals than people fleeing conflict and persecution,” Anna Shea, Amnesty researcher on refugee and migrants rights, said in a statement. #Afghanistan is a war zone, but #Turkey has sent 7100 people there so far this month. Migrants from Afghanistan and other countries affected by conflict and poverty often use Turkey as a transit country in the hope of reaching Europe. According to Amnesty, there are 145,000 Afghans in Turkey. The country is also home to more than 3.5 million Syrian refugees, as well as more than 300,000 Iraqi refugees, who have fled conflicts in their respective countries. 75,284 migrants have so far reached Turkey in 2018 compared with 172,745 last year, Soylu said in a speech in the southern city of Adana. In March 2016, Turkey signed an agreement with the European Union to stop the flow of refugees to Europe after the worst refugee crisis since the Second World War. Over one million migrants and refugees landed on Europe’s shores in 2015, fleeing war and poverty in the Middle East, Asia and Africa.